3 tier (6″-8″-10″) yellow butter cake with almond butter cream frosting. 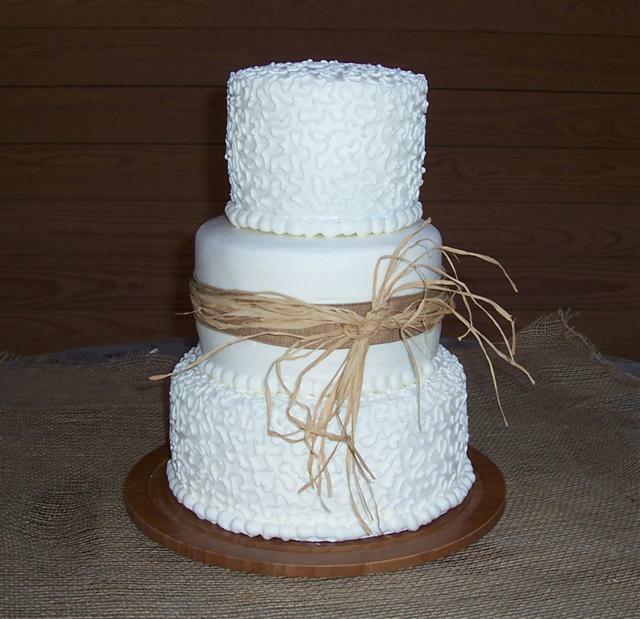 Lace design wrapped with burlap ribbon and raffia. 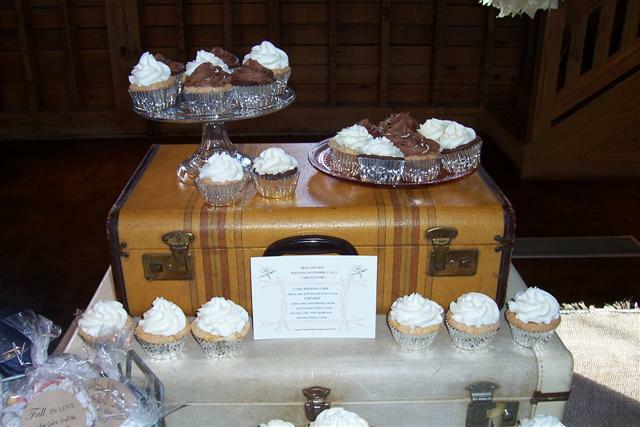 Table with chocolate and yellow butter cup cakes, iced in chocolate, vanilla and almond butter cream. I love this cake, Betty! 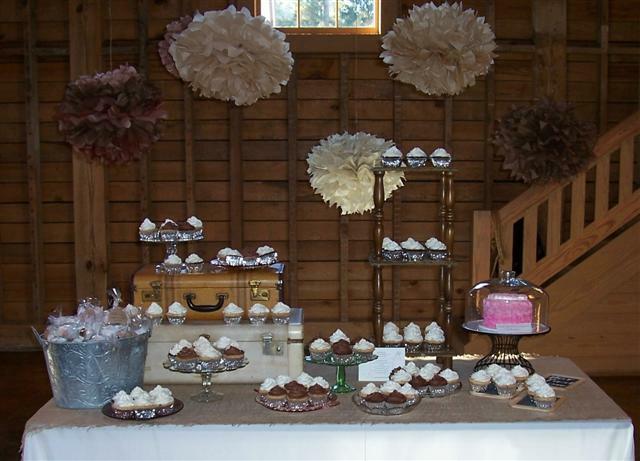 Beautiful display Betty. No way did this look plain – more like stylish and classy! By the way – Anonymous was me Betty!